This game is great, but finding people to play with online is hard. I've created a discord link for people who might want to connect online to other community members or talk about the game. The link is below. The advantage of discord is that you can hop into a voice chat room immediately once there. 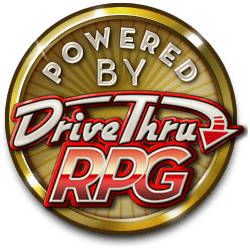 When are Explorer, Kingdoms, and Follow going to be available on DriveThru? Sorry Heath, no plans to release them on DriveThru. Can I ask why this is? As someone who likes to keep purchases in as few different places as possible, it is highly discouraging. I agree, I came here to buy all three, but they aren't here. I don't sell more games here because Drivethru takes a much larger cut than my other storefronts. I kept Microscope available because it was from before I got set up elsewhere, but adding more games would not make much sense. Sorry, folks. No problem, I respect your right to do what you want with your product. I just find that I appreciate the sevices this storefront offers me, and so I buy it here or do without. Does anyone know what was changed when this game was updated last? 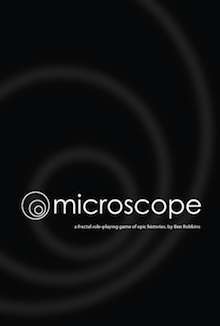 A reference to the new Microscope Explorer supplement was added in the back. The main Microscope text wasn't changed at all.